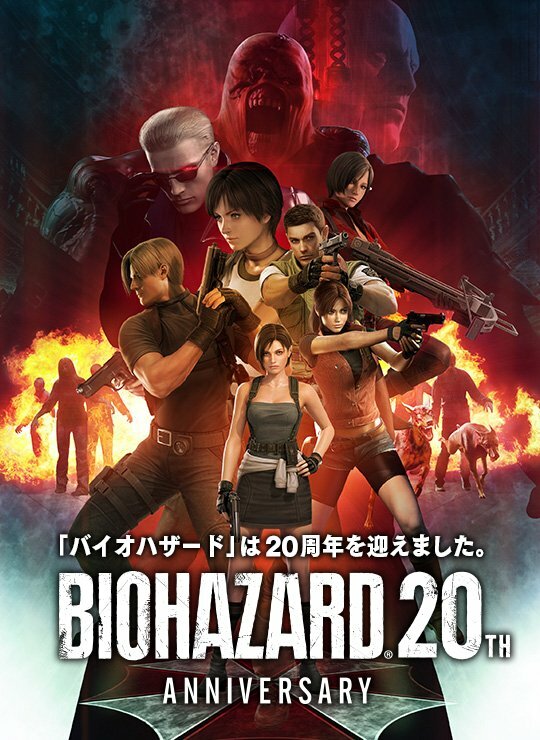 Resident Evil/Biohazard | 20th Anniversary. . HD Wallpaper and background images in the Resident Evil club tagged: photo gaming video game resident evil capcom shinji mikami jill valentine chris refield leon kennedy claire redfield albert wekser. This Resident Evil photo might contain feuer, flammen, inferno, feuer, anime, comic, manga, cartoon, comic buch, karikatur, and comics.